“CPQ Perspectives” is a series of blogs that is designed to look at Configure Price Quote systems through the eyes of those who encounter them. We spend so much time talking about CPQ as it relates to sales folks and organizations engaged in the selling of products and services that we lose sight of the fact that CPQ extends well beyond those processes. 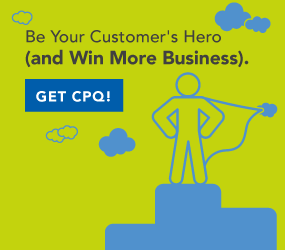 How Does CPQ Impact the Customer Experience (CX)? The second page (the question page) makes no pretense about being exactly what you need or having the best of anything. It asks you to describe your problem. This is how CPQ works. An interactive interview process between the buyer and CPQ obtains information from the buyer and uses that information to prompt other questions that are designed to help the buyer fully describe their needs. CPQ guides the buyer through options and selection points as more and more information is provided. Order visualization tools provide additional feedback to the buyer and confirmation of their selections through visualization of the product they are configuring.